"QUIET ON THE SET". The Silencers are designed to drastically reduce the volume of acoustic drums, so you can practice at almost any time. 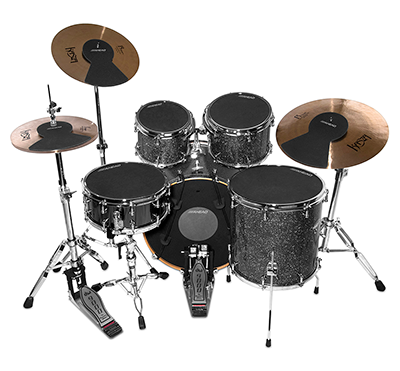 The rubber pads simply lay on the drum heads to greatly reduce the sound without loss of feel.